Riva Plus stoves feature the latest cleanburn combustion systems, allowing them to burn logs or solid fuels with outstanding efficiency, resulting in more heat delivery into the room and less going up the chimney. 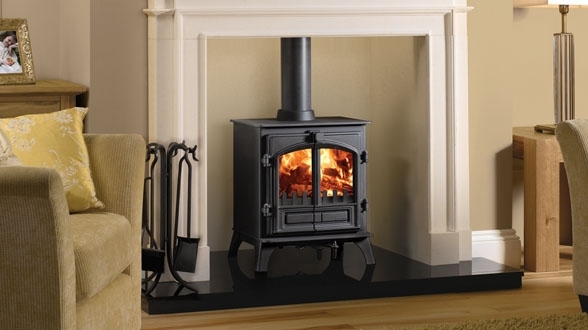 Available in four sizes, Small, Midi, Medium and Large, all Rive Plus stoves are constructed with a heavy duty steel body and a cast iron airtight door and incorporate innovative features such as a single lever control and fan-assisted convection. Riva Plus stoves are also available in either woodburning or multi fuel versions.